Kevin Haggerty graduated from high school in 1977 – among the foggiest, Cheech-and-Chongiest years ever in terms of U.S. teens smoking marijuana, government data says. For more than 25 years, he has studied the causes and consequences of young people’s drug use, for UW’s Social Development and Research Group. And now he lives in the second state to legalize recreational pot smoking, a sensibility that is gathering steam nationally. Kevin Haggerty cites data that suggests prolonging the initiation of drug use decreases the likelihood that dependence will emerge. On Jan. 28, Haggerty tees off the 2014 Luminary Lectures, a School of Social Work speaker series, with a talk about why, in this day and age, prevention still makes sense as a goal when it comes to youths’ access to pot. Before his address, he made time for a brief Q&A. Q: Your promo for the lecture series stated: “Marijuana use at a young age can have serious long-term consequences.” How much use is meaningful? Do you distinguish between daily use and occasional or infrequent use? Haggerty: The important thing to remember here is [that] the earlier use begins, the more likely it is that someone will develop an addiction. If you can prolong the initiation of use, you can delay the severity of the consequence of addiction. Q: What constitutes a “young age” these days? Haggerty: When you look at young people who use before the age of 14, they are 3½ times more likely to develop dependence than those who wait until 18 or later to start. Q: Do you think parents understand what Washington state’s new law means for teens? Haggerty: We found that nearly a third of parents didn’t know the legal age for marijuana use under the new law in Washington. [It’s 21.] About 25 percent thought it was 18. … Parents can think of pot and alcohol in the same way, setting clear expectations, making sure young people know that, just like alcohol, it’s illegal to smoke pot under age 21. Just like alcohol, you can’t use in public places. Just like alcohol, you can’t drive under the influence. Q: Do you think the easing of access to pot makes parents relax about potential pot use by their kids? Haggerty: I think that’s a danger we don’t know. There’s a lot in this grand experiment that we don’t yet know; for example, will the softening of norms decrease the likelihood that young people see pot as harmful? We know that when young people see drug use as less harmful, their use goes up. So we want to make sure that young people know that there are consequences to use. Haggerty: Addiction, depression, brain development, motivation, schizophrenia. All have some association with marijuana use. Q: States’ relaxed laws toward marijuana access – do you think it can be done successfully, in a way that appropriately regards the dangers you’re talking about? Haggerty: I’m one of those people who think that what we’ve done in Washington state is a thoughtful approach to legalization. In this thoughtful way, we need to make sure that those who are most vulnerable – young people under the age of 21 – have the prevention messages that they need to delay initiation as long as possible. Q: What do you say to people who suggest that teens might not need protecting from pot? Haggerty: Under 21, when the brain is in development, we don’t want to put young people at risk for using substances that can have serious consequences for them. Let them wait and make a decision as an adult, as we would do with alcohol. Q: In terms of prevention strategies, what does science suggest is effective? Is it possible to get the “delay” message across to kids without going through the filter of parental authority? Haggerty: It’s not just parents alone in this effort, but parents play a really important part in young people’s decision to use or not use; we know that from research. Young people have to have the skills to resist peer-pressure invitations – the refusal skills they need to be successful. Communities need to set standards around not using in public places and enforce those standards. Q: What’s the most effective way that parents can communicate about this with kids? Haggerty: Start early. Began having those conversations early in development, where kids think, “No, I don’t want to use marijuana … Why would I want to?” Continue to have that conversation over time. Set clear expectations around marijuana use, and monitor, and then provide consequences when kids slip. Because they’re going to slip. Q: What’s a reasonable consequence? Haggerty:I love that question because any reasonable consequence for a teenager begins with the letter C: cash, car, cell phone, computer, clothes, chores. Q: You have 30 seconds to talk with the parent and teenager together about pot use. What do you say? 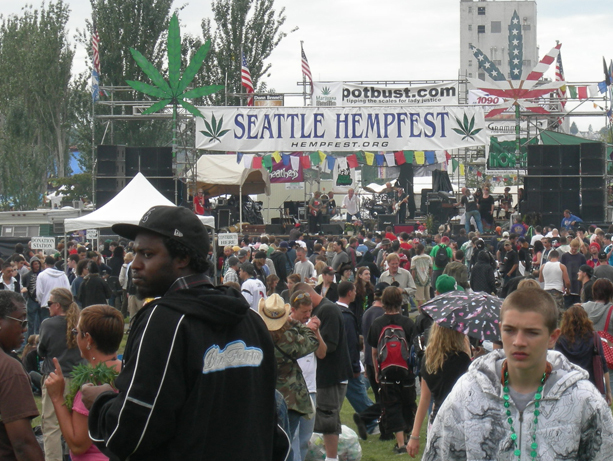 Haggerty: There are really important things to know about pot use in Washington state. First, it’s illegal for young people under age 21. Second, it’s an addictive substance. Third, it’s harmful. You might think plants aren’t harmful, but think about tobacco. Think about what it is you want in your life because marijuana can get in the way of saying “yes” to fun and exciting things. Q: This whole conversation overlooks kids and parents who think alcohol use is something to be expected. Haggerty: It’s true: A lot more people are screwed up because of booze. The problem is a lot of people who use marijuana use it with alcohol or other drugs, and that amplifies the dangers. What we don’t know is the interaction between alcohol and marijuana but I don’t think we see the level of violence from marijuana alone.